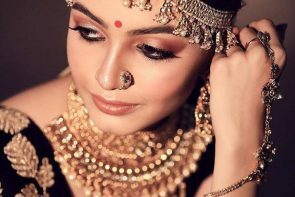 Komal and Akshay had a grand wedding at the Westin and you will love the details that have gone in planning this celebration! 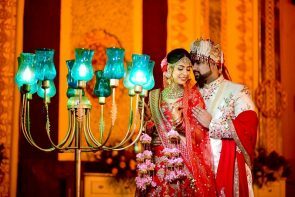 Shipra & Rohit: Jammu Wedding Reception with Gorgeous Floral Decor! This Jammu wedding and reception is filled with tons of inspiration! Everything from the bride's lehenga to the floral decor is so pretty! Vaibhav+Akriti: Chilled Out Goa Wedding! 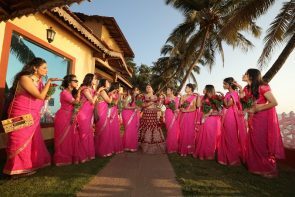 Check out this chilled out Goa wedding where bridesmaids wore pink saris! From Colleagues to Soulmates! 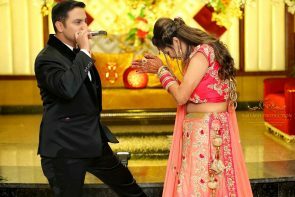 Beautiful Faridabad Wedding! Beautiful prewedding shoot at The Perfect Location Faridabad! Wedding dress by the talented Turquoise by Rachit! Luxurious Pre Wedding Shoot in the City of Dizzying Heights-Dubai! Your are going to love the props and themes used in this quirky pre wedding shoot in the city of dizzying heights! 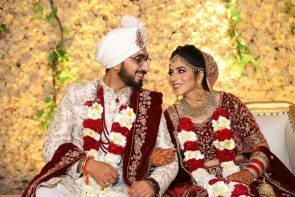 This vibrant, royal wedding at the Mystic Resort, Chandigarh is stuff dreams are made of!